Garstang FC are ready for the next chapter in the club’s history after moving up to the Hallmark Security League. 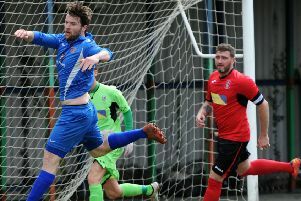 It was confirmed last Friday that Garstang’s application to join the former North West Counties League – along with that of West Lancashire League rivals Longridge Town – had been successful. “Obviously I am delighted to be going up,” said manager Lee Baker. “I think it’s the perfect scenario of winning the double and proving ourselves to be good enough to take the next step, which I truly believe we can be competitive at. “It’s a reward for all the hard work the committee have put in over the years and a big thank you to my assistant Neil Beesley, who not only helped me running the team but also orchestrated the recent ground improvements which helped us make the grade. “I would also like to thank all the people in the club ‘Score’ lottery as they and the local community have all had a part in this club making the huge progress that it has. 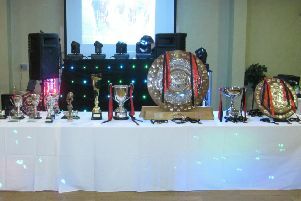 A club spokesman added: “It’s been the most successful season in Garstang FC’s long history so it feels the right time for us to make this move. “Lee Baker and Neil Beesley have done a magnificent job but it’s been a team effort from everyone involved at the club. There is still an awful lot of work to do but with the help and support of the community we hope we can deliver a great standard of football to the area. Off the pitch, the club is also celebrating a new shirt sponsorship deal. GA Associates, based on Garstang High Street, have agreed an initial three-year sponsorship package for the Riversiders’ first team home shirt for next season. The firm, headed by senior partner Graham Salisbury along with his two associate partners, Avnish Panchal and Jake Salisbury, covers all aspects of planning, architecture and design. The club said: “This couldn’t have come at a better time with the club looking to move forward following their history-making season.